Perfect for its numerous macro keys. At the right are extra keys for sound control and playback capabilities. I haven't tried disabling the Windows button thru its SteelSeries key. The alphabet keys are a little bunched up making it look and feel like laptop keypads. I'm not one for mechanical keyboards much, since I prefer to have shallower travel (+quieter). Plus, I prefer flat keys, which are kinda hard to find, and I like bigger spacebars since I tend to rest my thumbs lower than most people. The keyboard has held up well (hasn't shown any signs of wear), but the software/colors can be a bit buggy. The layers will apply alright, but occasionally it'll apply the standard color scheme instead of the one I've set up. My only real complaint is that the colors are kinda iffy. I can set the qwerty area to be one specific shade, and then set f1-12 to the same hex code, and they look different. (It's also kinda difficult to find a shade of orange that looks orange, and not brown). 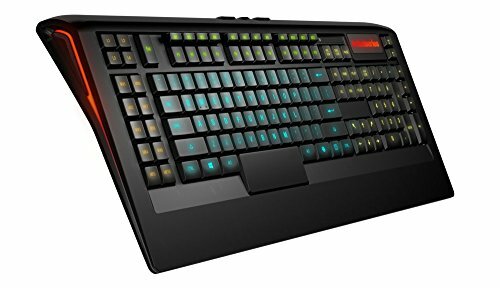 This keyboard right now can be found for under $50, but I got this 2 years ago and being the idiot that I was, I bought a $100 membrane keyboard. But other then that, it is a great key board. Beautiful, practical, efficient. 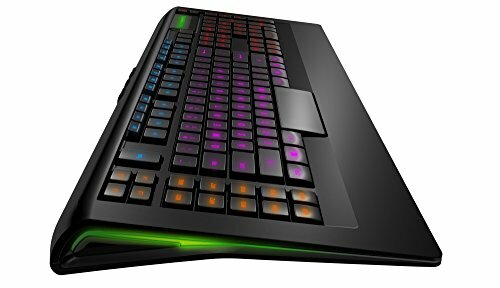 Excellent all-around keyboard that does not sacrifice function for looks and profile. 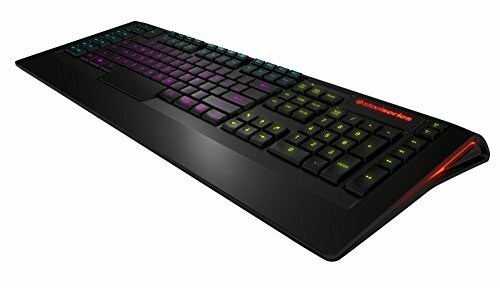 I was really tempted to get a mechanical keyboard but I couldn't justify the cost. 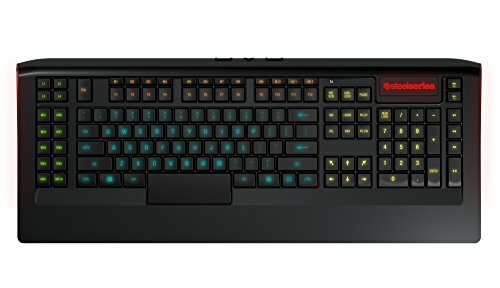 I really wanted a keyboard with fully customizable lighting and found this one for $50 factory refurbished. I was initially disappointed but it's definitely grown on me and it was definitely worth what I paid. 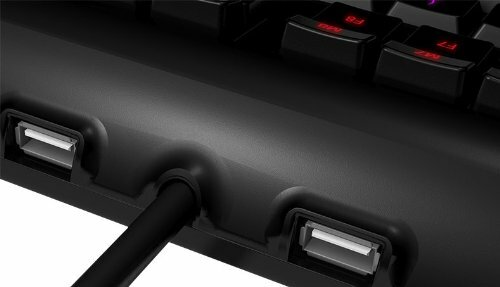 The SteelSeries software is easy to use as well. Too wide and heavy. Typing or playing does not feel good. Really do like this keyboard for the lighting, but I never use the macros on the side or the top. The space bar gets a bit shaky as well, and as far as I can tell, there are no replacement keys you can buy.